Being from Puerto Rico, growing up with the tropical fruits all around, I introduce to you tropical baked goods that are all handmade. Coconut cake, guava cake, mojito cake, tres leches, papaya raspberry cake, passion fruit banana cake and more. Artisan breads include Yuca bread, yautia bread, tomato basil, butter honey wheat, sour dough, roasted coffee bread, purple potato bread, roasted beet bread, and more. Come and experience the flavors of Puerto Rico and follow on social media below. Guy & Lady Barrel Cigars is back for the 2019 season on a bi-weekly basis! As a former US Marine and NFL Agent Advisor, Maurice knows the value of brotherhood and family and wanted a business his family could build together. After taking a stab at a business selling wine barrels, Maurice and Grace decided that passion was essential to their success. The couple took the time to learn a unique alcohol infusion process and combined that with the lessons learned from the barrel business to create an exceptionally masterful line of cigars. Zinnia Virgo Soaps is joining us as a NEW vendor in 2019! 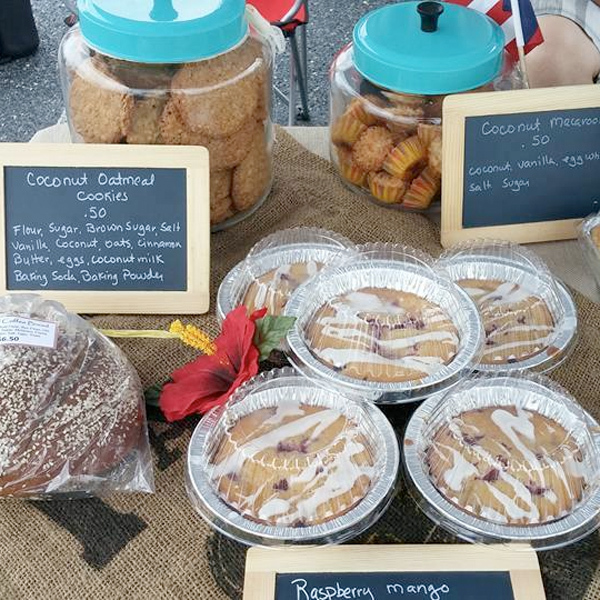 ©2019 Crofton Farmers Market. All Rights Reserved.